Marta is a Latina woman who has lived, worked, and invested in the Asheville community for the last 30 years. 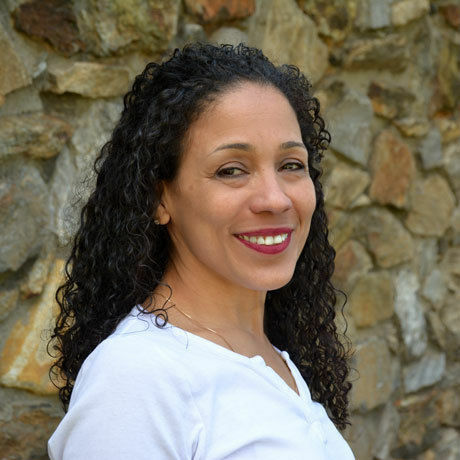 Marta raised her multiracial children in Asheville, experiencing Asheville City Schools (even though they live in the North Buncombe District) because it is important to her family to be inclusive and in a multiracial environment. Through Marta’s many formal and informal roles, she contributes to the work of racial justice and wellbeing in our community. Marta is currently Asheville City School district’s Parent/Family and Community Engagement Leader, she is on the leadership team for Racial Equity Collaborative Asheville, contributes to a number of boards, and has been a member of the Adverse Childhood Experiences Collaborative and leads the Collaboratives Speakers’ Bureau in sharing the message of adversity and resilience. Founded in 1996, the Center for Craft (formerly The Center for Craft, Creativity & Design) is the leading organization in the United States identifying and convening craft makers, curators, and researchers, and matching them with resources, tools, and networks to advance their careers. Over the years, the Center has become a vital community resource, serving thousands of visitors annually. As a national 501c3 nonprofit organization dedicated to advancing the field of craft, the Center administers more than $300,000 in grants to those working in the craft field. www.centerforcraft.org. BLUE SPIRAL 1 presents work by exceptional artists and object makers in a light-filled, 15,000 square-foot gallery spans three floors connected by an open stairway in the heart of downtown Asheville. This spacious setting allows Blue Spiral 1 to offer considerable diversity, affording accessibility to various tastes and aesthetics. Echoview is an innovative fiber processing and manufacturing hub that’s a catalyst for connecting community with commerce. We deliver products and services that fuel the American spirit of hard work and self-expression. Echoview honors America’s pioneering past but always has an eye on the future. We are innovators, believers and dreamers. We’re also doers. We intend to bring pride to the label “Made in America.” America has always celebrated the individual. But at the same time, we know we’re stronger together. Our country is a lot like a patchwork quilt. Each square is important on its own, but each one also enhances the beauty of the entire creation. Our Mission is to preserve and protect the Masonic and architectural heritage of The Asheville Masonic Temple, encouraging and promoting its continued Masonic use by offering the public an exceptional and unique event venue. AVLtoday is your resource for the best of what you need to know about Asheville, NC – curated, condensed and delivered to your inbox and social feeds every weekday morning. WCQS is pleased to announce expanded service for Western North Carolina with the launch of its all-news sister station, BPR News, beginning March 6. The growth is reflected in a new name, Blue Ridge Public Radio (BPR), which will be home to both stations. Foothills is a meat company specializing in local and pasture-raised meats for retail and wholesale markets. The core of our business is our food-service arm, which consists of Foothills Food Truck, open daily at Hi-Wire Brewing’s Big Top, and our Catering Division, which offers a wide range of menu options for small business meetings to weddings and events of 150 people or more. Foothills also offers custom butchery, fabrication, sausages and primal cuts for wholesale buyers and home-use. Foothills does not currently have a retail store but our products can be had weekly through our CSA Meat Share program. Serving espresso drinks, coffee, fresh fruit smoothies, bagels, quiche, yogurt parfaits, and homemade baked goods from 7am-11am, Monday – Friday! Your local, independent restaurant, bakery & tea room in Arden. Counter Culture Coffee is dedicated to finding and bringing to market the most exciting and delicious coffees in the world. We approach our work with a passion for the ideal of coffee perfection, a dedication to real sustainability, and a commitment to cutting-edge education throughout the coffee chain. Modern apothecary offering organic dried medicinal herbs and essential oils, tinctures, books, local products, herbal medicine making supplies, & more. Addressing the issue of food waste, Raleigh Environmental Award winner CompostNow is pioneering a member-based food scrap collection and composting service currently helping thousands divert food scraps from landfills (230,000 lbs to-date) and support garden partners with nutrient rich soil (created from the food scarps, and) needed to grow fresh, chemical-free food. Cups at Creative Mornings Raleigh are compostable! We’re Futures Bright – A full-service creative studio in Asheville,NC. We love using strategy, branding, and design to bring great ideas to light. We are storytellers. Adventurers. We are filmmakers who believe in the power of story. We use human connections to engage and inspire in order to create meaningful and impactful films. Your sound is important to you: We can help you realize your vision for your project. Whether that project is a Feature Film, a TV Commercial, a Video Game or a Podcast. Gan Shan Station is inspired by the East Asian cuisines of Thailand, Vietnam, Laos, China, Japan, Singapore, and more. We strive to use locally sourced ingredients to interpret bold, rich, clean flavors and dishes in an approachable, casual neighborhood setting.